Once you get over the initial novelty of (for example) being able to stand in Cardiff, Wales and take a photo of Weston-Super-Mare, England (11 miles away, as the crow flies), you realise that you’re carrying around a camera of enormous heft and weight for situations that are pretty few and far between. Even wildlife and bird photography rarely calls for such long focal lengths of 3000mm, while it’s likely to feel impractical to those wanting a holiday or travel camera to have a weighty and large model on their person. 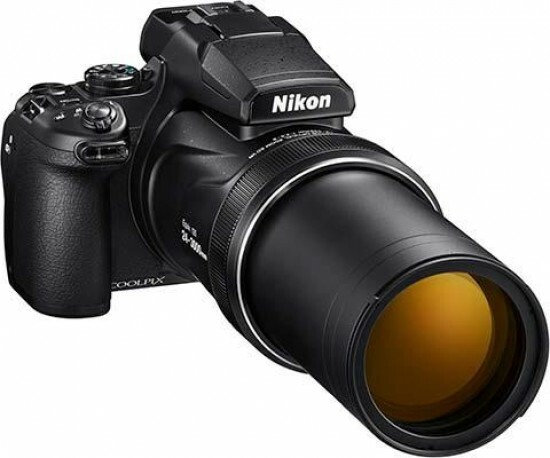 It’s also important to remember that despite its massive size, the Nikon Coolpix P1000 is really still a compact camera in essence (as in, it has a compact camera sized sensor), meaning it struggles to produce images of high quality in low light conditions. Then there’s also the high cost to consider. Given that 3000mm is more than most photographers would ever need, and, that image quality at that focal length is not particularly amazing, it’s hard not to recommend going for something cheaper and smaller, with a more restricted focal length. That’s not to say that there aren’t some good points about the Nikon Coolpix P1000. It has a great viewfinder, can shoot in RAW format and in manual mode. There’s also 4K video recording, too. Build quality is high, especially around the grip. Then there’s the fact that creating a camera with a 125x / 3000mm focal length lens is quite a feat of engineering - it deserves applause for the technological innovation. How well the Nikon Coolpix P1000 sells will be interesting to see, especially if the high, almost £1000 / $1000 price point is maintained for a while. In the meantime, we’ll see if any other camera manufacturers decide to try and outdo it!